Welcome to Rainbow Angels Family Childcare, a family run child care center managed by Maryam and Halleh. Our program is designed in a way that fulfills the social, emotional, physical and cognitive development of children. Our mission is to promote personal development, growth and creativity in a safe, happy environment based on kids individual abilities, personality and their respective needs. We are an art focused childcare which utilizes, visual arts, painting, music and storytelling to develop practical skills while learning about the world, different cultures, sharing and friendship. 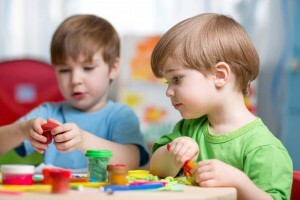 The Rainbow Angels Family Childcare is a caring childcare in a safe, clean, and very accessible environment. We take pride in providing excellent service, with numerous satisfied families as our references. We are glad you could stop by. Please take a moment and look around, and if you need more information, do not hesitate to either give us a call or drop by to visit us. It is centrally located in Mission Viejo, close to the 5 freeway (2 Min). The nearest major intersection is Marguerite and Oso. Click Here for directions. We are CPR/First Aid certified. Our license number is 304-312-854. We welcome you and your child to Rainbow Angels Family Child Care!